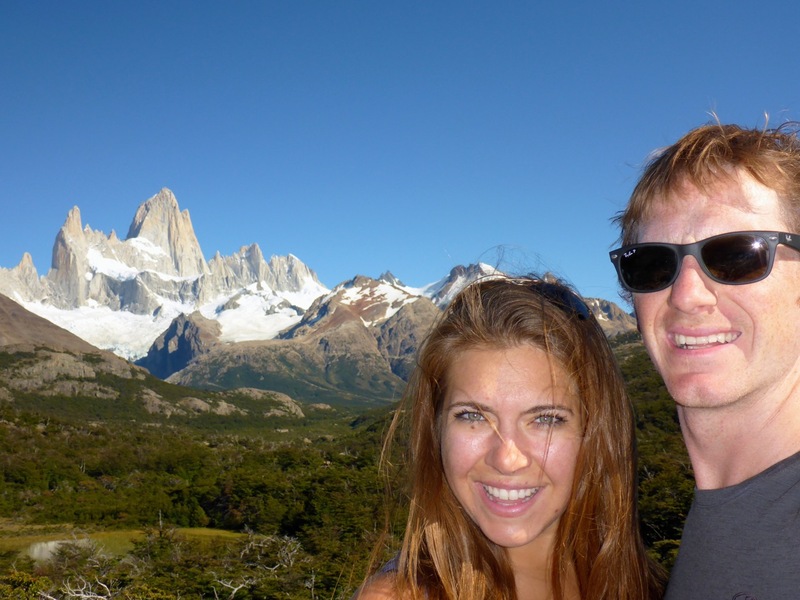 We, surprisingly, had a plan when we arrived in El Chaltén and we were ready to execute. Liz loved the efficiency. 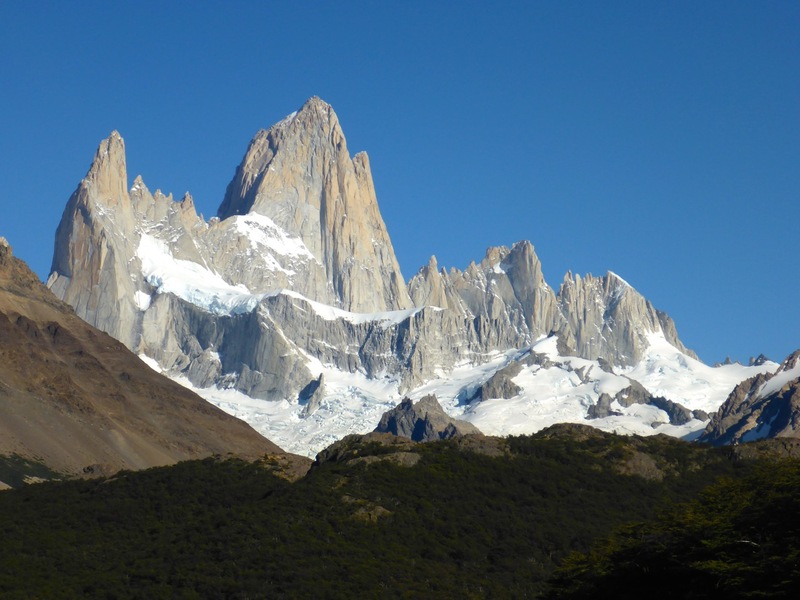 We were planning to spend 4 days and 3 nights camping at the foot of the Fitz Roy towers. 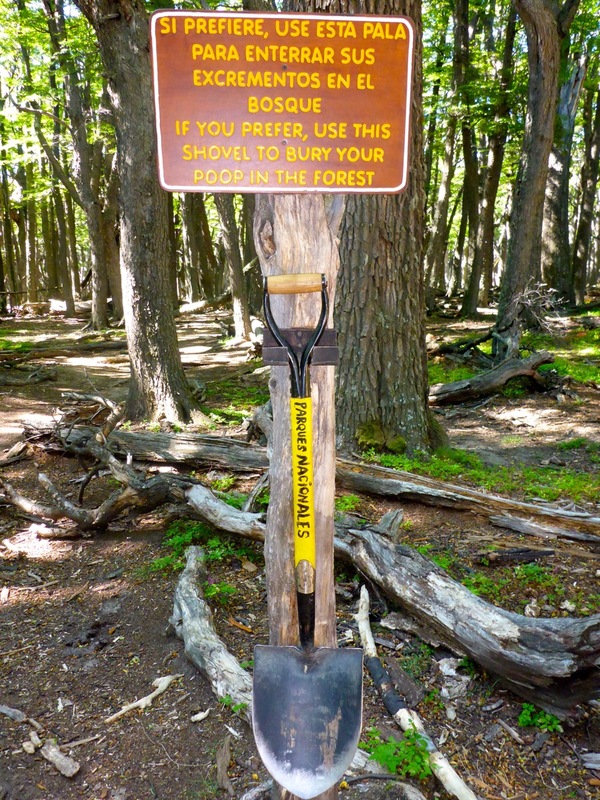 We knew from our conversations with climbers at Erratic Rock, that had recently come for Chaltén, that our weather window was quickly closing but we thought we could squeeze this little trek in before the weather totally turns to … well… something that would need this shovel. With the sun sheading its first rays of light on the tops of the mountains we made our way to the trailhead at the edge of town under clear blue skies. 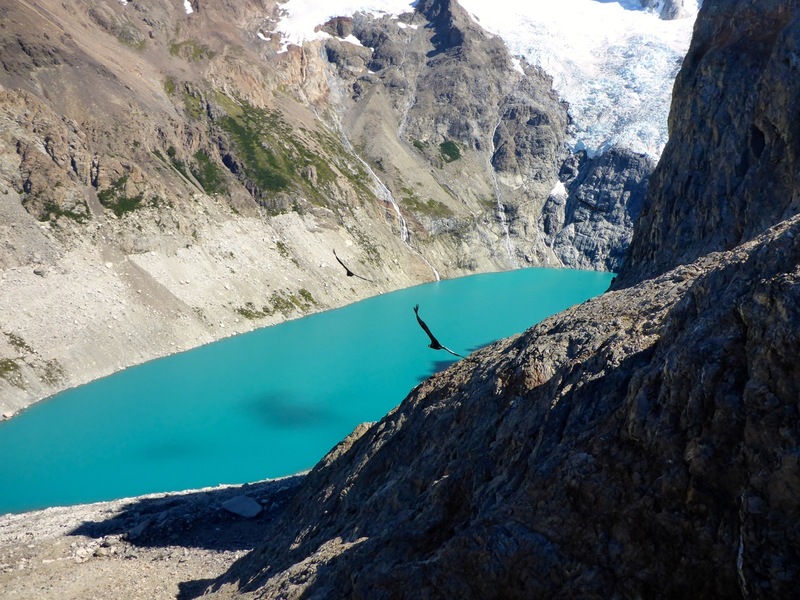 One of the things that makes El Chaltén “Argentinas Trekking Capital,” is the trails all, basically, starts in town and everything, conceivably, could be done as day hikes. We were climbing up hill in no time; after grabbing a couple of empanadas on the way out-of-town of course. The climbers report promised, “Friday will be perfect.” So far so good. It wasn’t long before I found a place I thought we could turn into a home. Liz insisted the tree wasn’t big enough for the two of us, so we kept moving. 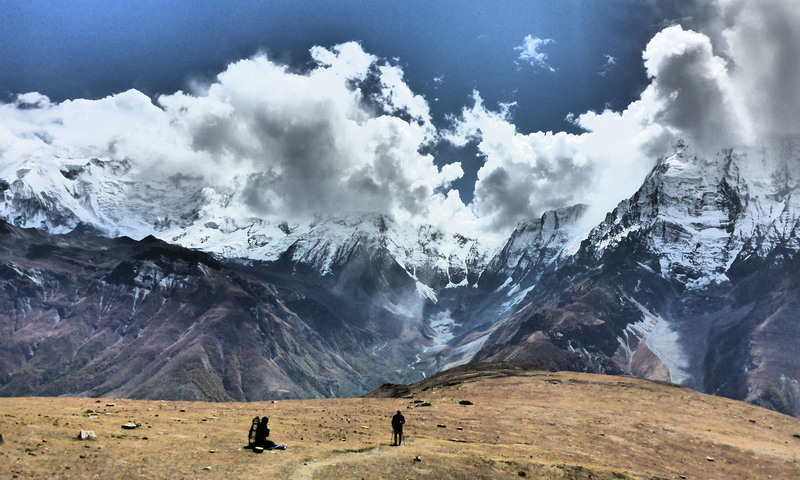 Inspired by the towering peaks in front of us we made our way closer and closer to camp. 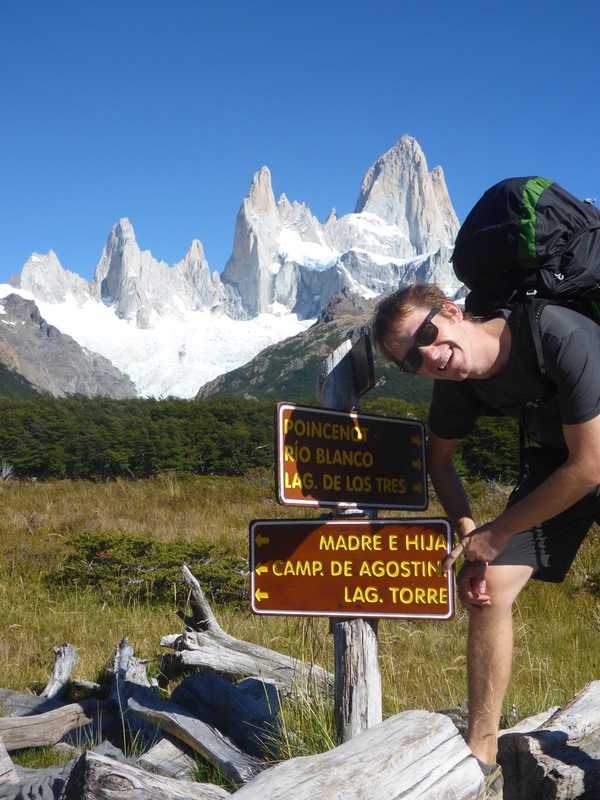 Shortly we came across a trail sign and we new we were in the right place, Campamento de Agostini. 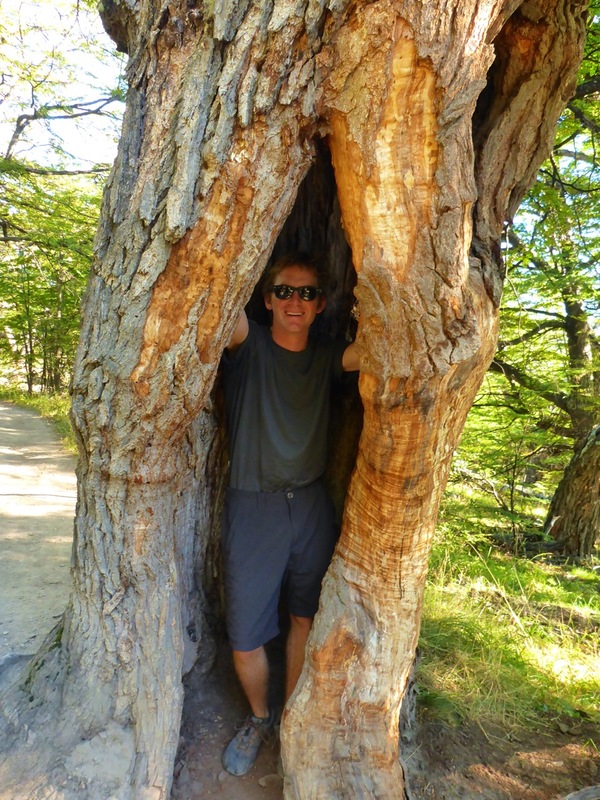 I’m starting to think there may be a reason I feel so at home in Patagonia. Padre Alberto María de Agostini was a missionary and explorer in Patagonia in the early 20th century. There is a bunch of stuff name after him down here and I saw a picture of him in a book at Pingo Salvaje… Now I’m sure of it, we must be related. 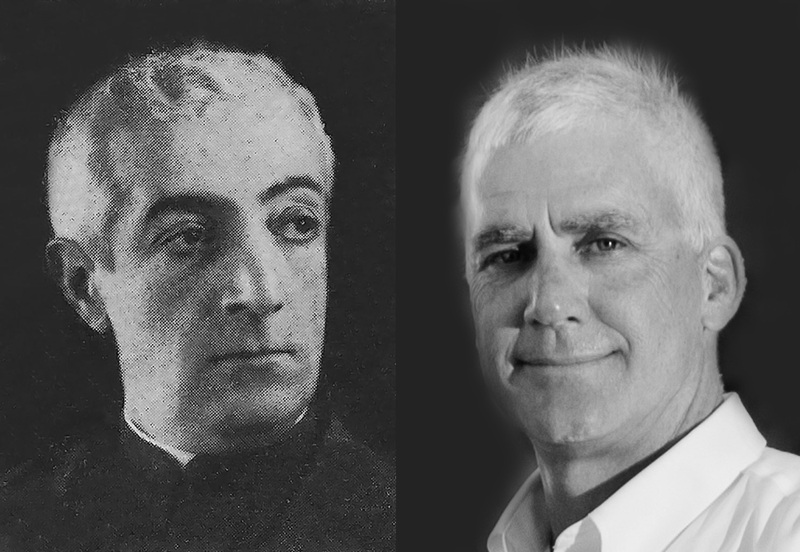 Padre Alberto María de Agostini on the left, my dad on the right. 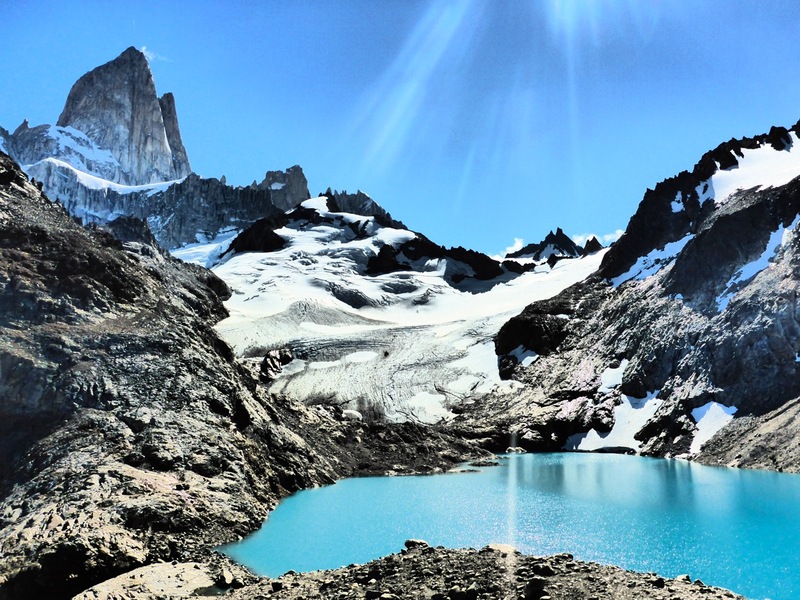 We made it to Campamento Poincenot around lunchtime, so we set up camp and ate a quick lunch then made our way on to the mirador for the Fitz Roy and Lagos de los Tres in the early afternoon. We had wanted to climb the peak right next to it but found out we had to register with the guardaparque to legally climb it, so, maybe another day. With that plan out the window, we had the rest of the afternoon to play around on the boulders around the mirador and just enjoy the views. We were graced by a fly over from 3 condors that seemingly came out of nowhere. I barely got a picture of them as they flew right over our heads. They are HUGE up close. Back at camp we still had a while before it was dark so I worked on “Camp Improvements” while Liz cook an amazing dinner. Camp improvements loosely translated to me building little walls and wind blocks with rocks and logs. 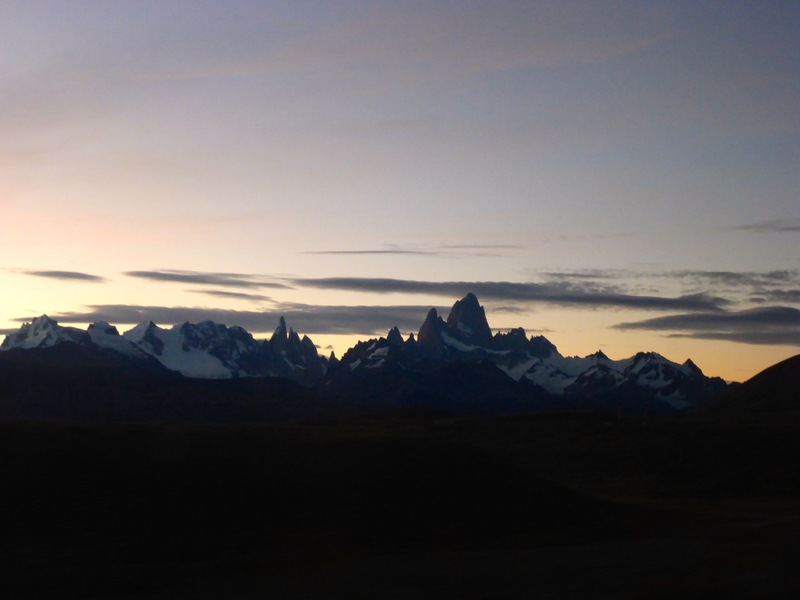 We at dinner and watched the clouds form over Fitz Roy from our camp and settled in for the night. haha very similar. looks like fun !